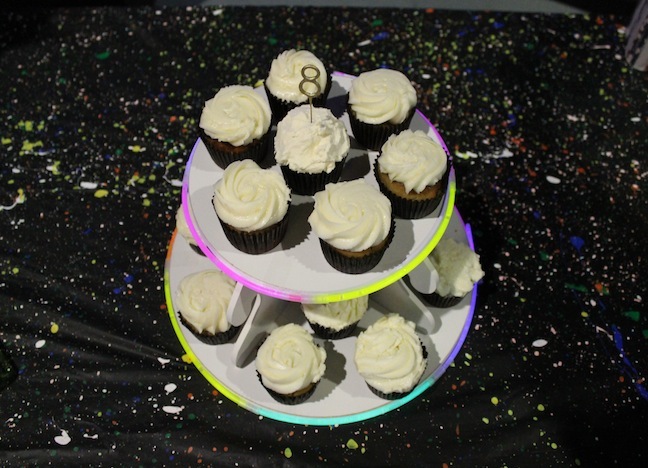 Add extra glow in the dark fun to your party décor with an oh-so-easy party DIY. This tablecloth went perfectly with my son’s glow in the dark themed birthday party! Plus, he had a blast helping. (Lesson learned: make sure your kids wear play clothes because they will get paint on them—especially if you’re doing it right.) 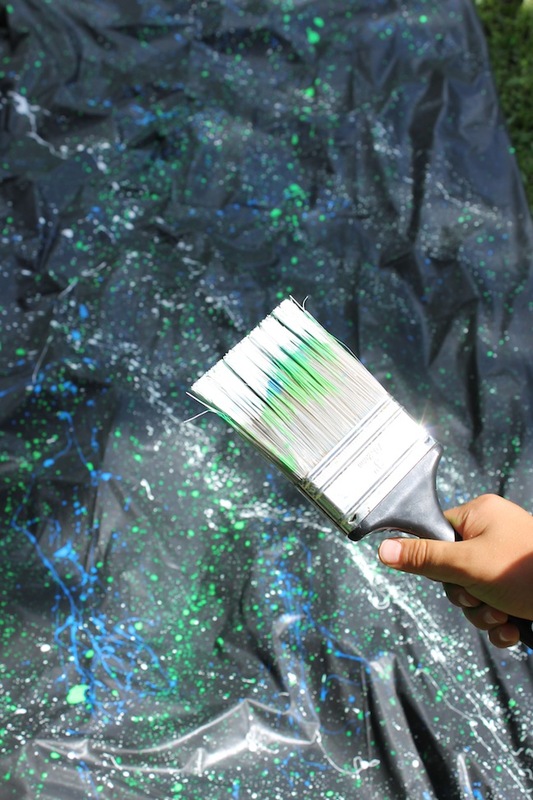 Keep reading to find out how to make your own DIY glow in the dark tablecloth decor. 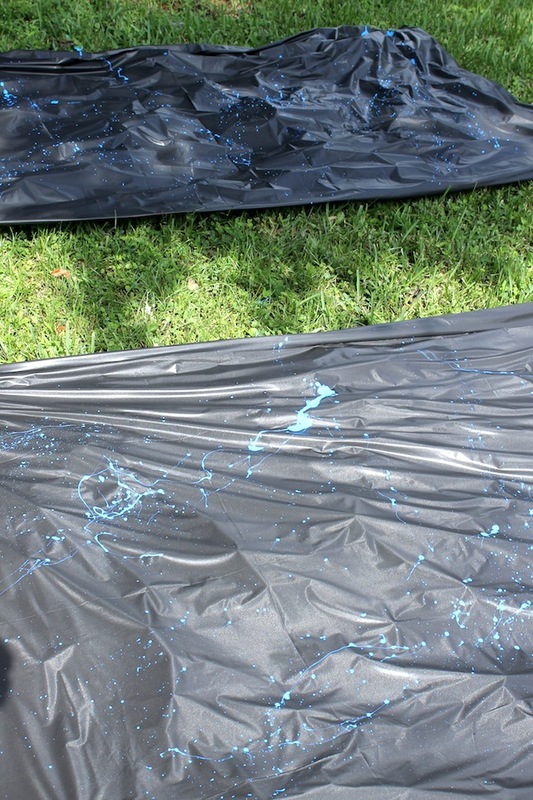 Step 1: Spread your tablecloth out on your grass. Secure the ends with rocks or another heavy item. 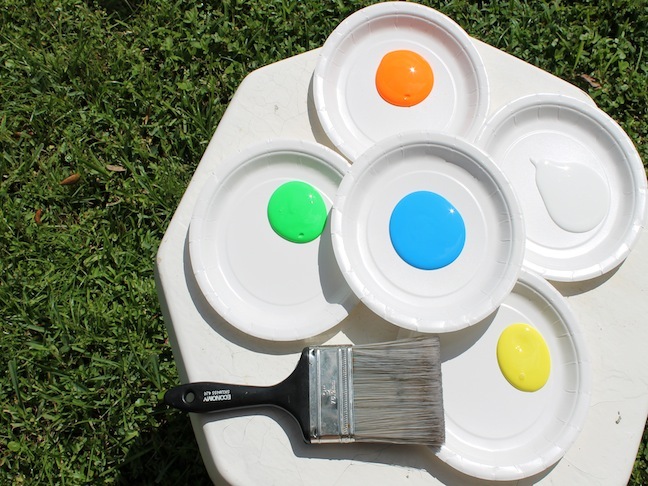 Step 2: Pour your paint onto a paper plate, dip in your brush, and start splattering. Let dry in the sun.